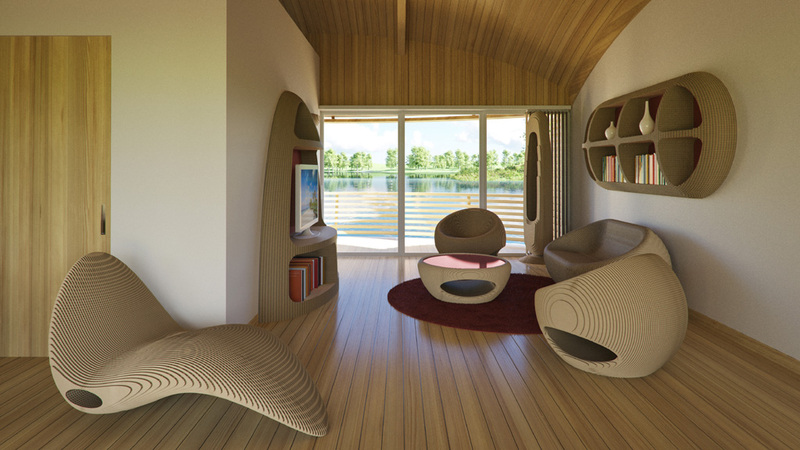 INTERIOR | The WaterNest 100 floating home can be positioned along river courses, lakes, bays, atolls and sea areas with calm waters. The use of materials and sustainable production systems make this unit recyclable up to as much as 98%. In addition, thanks to a sophisticated system of internal natural micro-ventilation and air conditioning, it is classified as a low-consumption residential habitat. 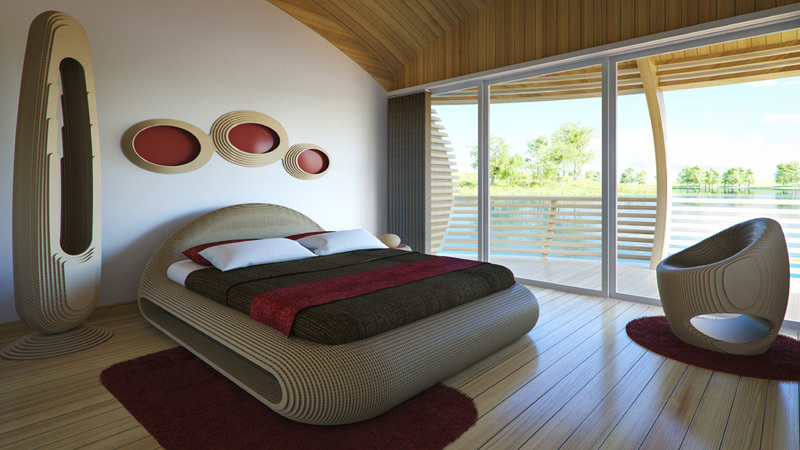 The interior of the floating home WaterNest 100 are characterized by being warm and welcoming, contemporary style and innovative. The scent of wood structure invades the space. 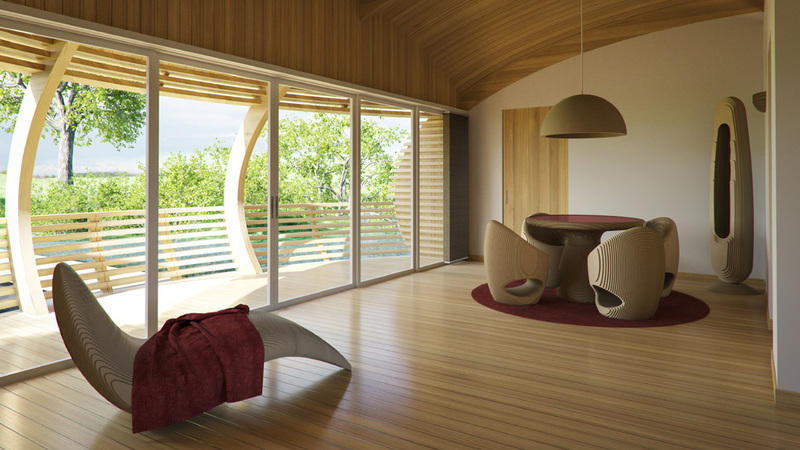 The large windows allow light to enter and illuminate all day the environments. The furnishings are of high design in recycled and recyclable material – the result of a rigorous selection of the most renown and established eco-friendly contemporary design companies, thus meeting the trendiest style requirements. Natural materials, soothing colors, soft shapes, allow you to live in an exclusive environment in direct contact with nature. Read a good book illuminated by the rays of the sun coming through the large windows, listen to soft music in an acoustically designed environment, stay comfortably on a chaise-longue of design close to a window that overlooks a magical pond, with floating home WaterNest 100 this is possible. 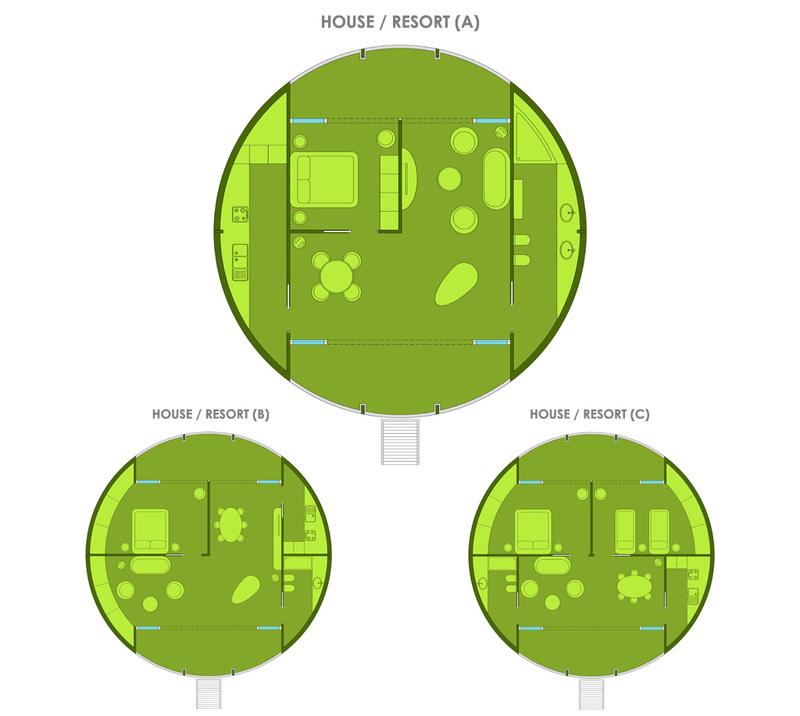 LAYOUT | WaterNest 100 has a 100 sqm circular layout, 12 m in diameter, with balconies conveniently located along the longer sides that allow to enjoy, thanks to the large windows, fascinating views over the water. WaterNest 100 has several possible configurations, depending on the different housing or working needs. 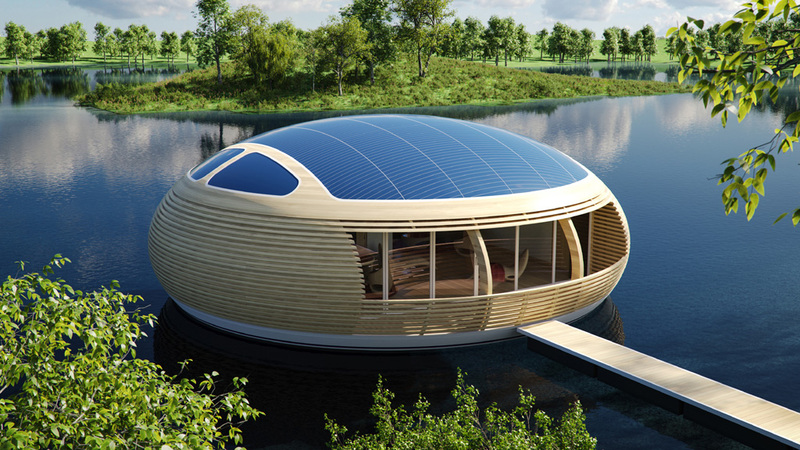 It is perfect like an ecological house, office, lounge bar, restaurant, shop or exhibition floating space. The selected furnishings in the EcoFloLife catalogue are top design, eco-friendly and elegant, and thus meet the most demanding contemporary needs. HOUSE / RESORT | This version of WaterNest 100 is ideal to accommodate a young couple or a family of four, wishing to live in a new, eco-friendly and non-conformist manner, without sacrificing comfort, elegance or style. WaterNest 100 includes in its interior a living room, dining area, bedroom, kitchen and bathroom. The selected furnishings in the EcoFloLife catalogue allow to embellish the space with a touch of colour and joy. 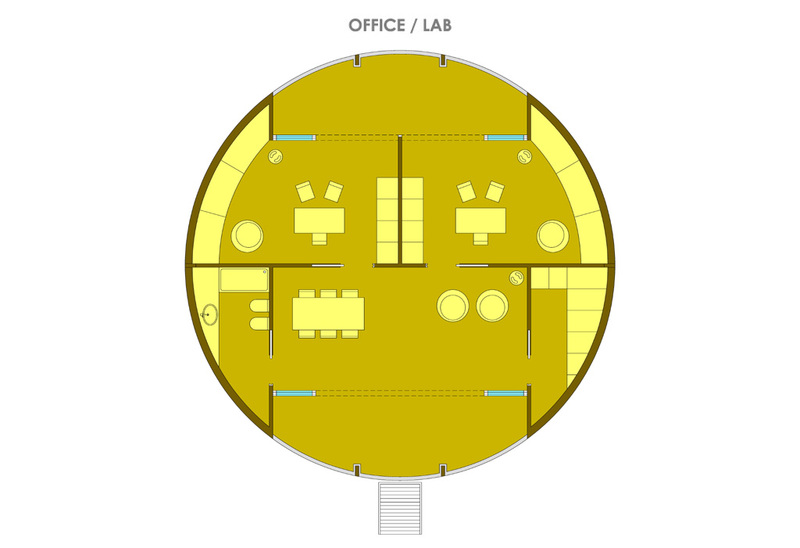 OFFICE / LAB | This version of WaterNest 100 is more suited for a young and dynamic work team wishing to communicate and work in a single, one-of-a-kind space, in close contact with nature. Nest 100 can fit separate or adjoining workstations, a bathroom, storage and archive. The EcoFloLife catalogue has refined furnishings such as desks, chairs and floor lamps, which are made entirely of recycled flame-retardant cardboard in different colours. 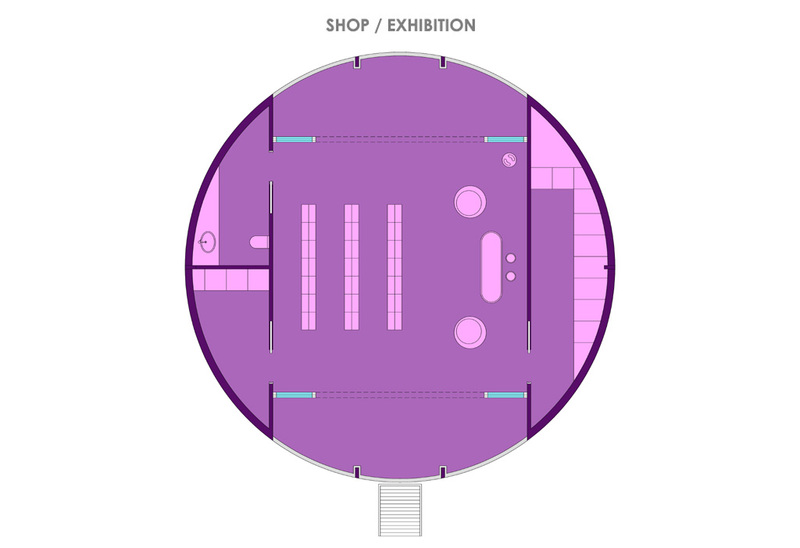 SHOP / EXHIBITION | This version of WaterNest 100 is best suited for those wishing to open an innovative floating business or exhibition gallery. A large open-space that can be modelled according to the various business needs with storage, dressing room and toilet. The EcoFloLife catalogue has refined furnishings such as reception, armchairs and floor lamps, made entirely of recycled flame-retardant cardboard. 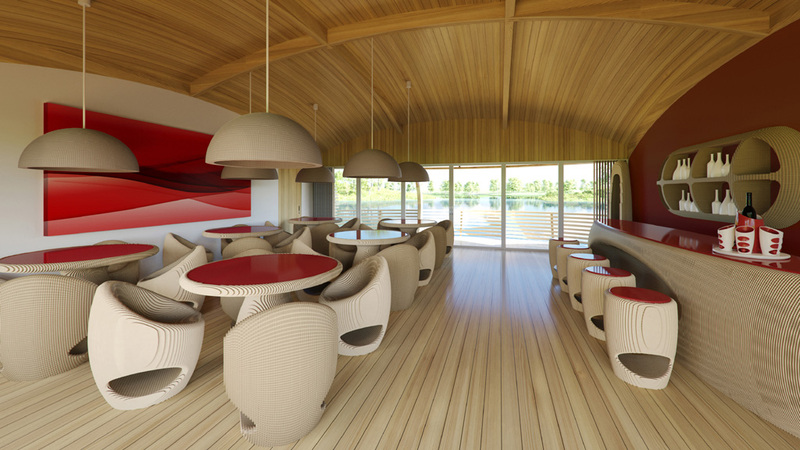 LOUNGE BAR / RESTAURANT | This version of WaterNest 100 is the ideal design to accommodate an innovative and charming, as well as entirely environmentally friendly restaurant for bio products or an intriguing floating bar. 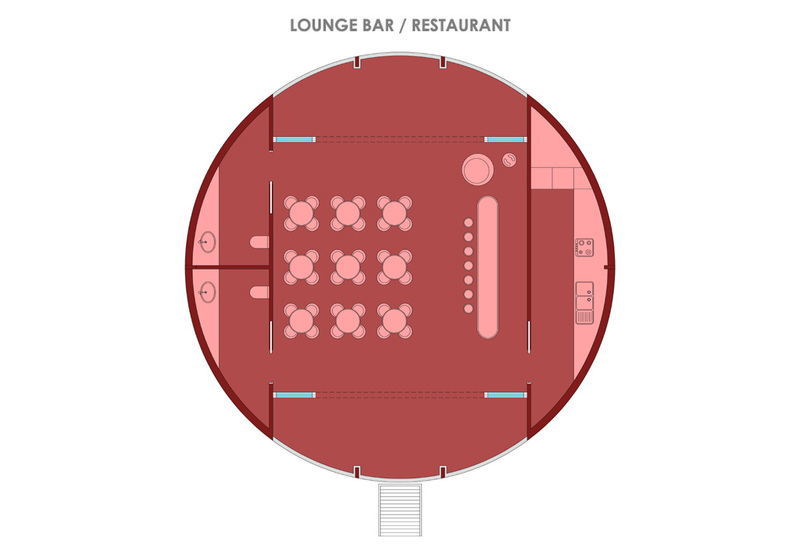 Open-space with bar, stools, tables, chairs, kitchen and toilets for a maximum capacity of 40 people. The EcoFlo Life catalogue has modern environmentally friendly and top design furnishings, with colourful, trendy organic shapes.